However, despite his bravery, there is one thing Nath is scared of. Moomins. Yes, those little trolls from Finland, which have no mouths and are really quite cute. Nath flew out to Afghanistan last weekend, so I decided to make him something to send out to him. 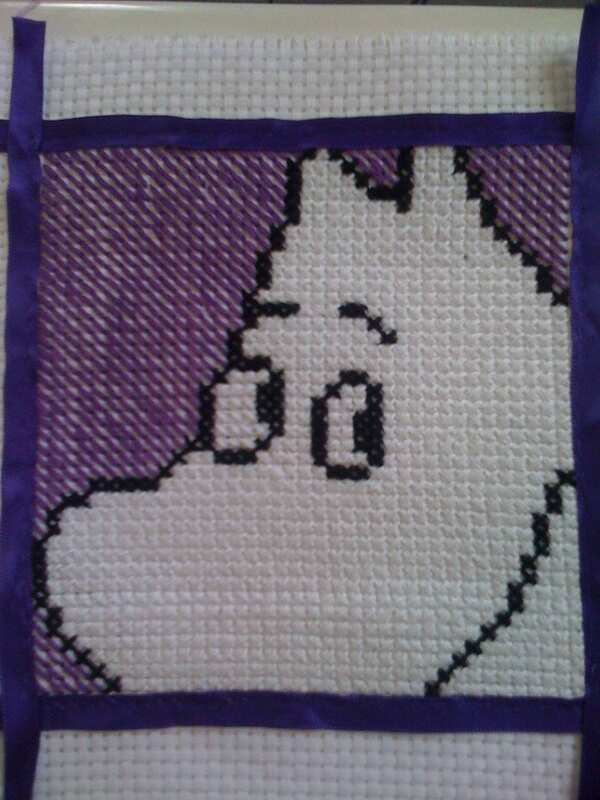 After finding a picture of the Moomintroll (I wanted Moominpappa, but couldn’t find a decent picture of him. But he wears a top hat! Which makes him extra awesome of course), I used this tutorial on how to convert images into pixelated versions to copy. Working on the outlines first. This was the first thing I have cross stitched in about 18 years, and the first that I had followed a pattern (I mean, I’m sure we did cross stitch at primary school, but I don’t remember what was on it!) Cross stitch is a satisfying craft, as it is quick to do and you see results quite quickly. I just need to decide on new patterns! Update (April 2011): I still receive a lot of emails about this post, so thought I would update you. I wrote this post 2 years ago, and since then have changed computers because of a major failure on my old one. I no longer have either the PDF files of the patterns, or Photoshop to redo them. I used this tutorial to make it, but if you Google “Cross stitch pattern maker”, there are websites available where you can upload an image and get a pattern in return. Regarding colours – I bought a bundle of embroidery floss from eBay to get my stash started which I then wound onto bobbins. Any colour numbers have since been lost. That’s awesome! I used to do loads of stuff like that, and now I never have time, it’s depressing. 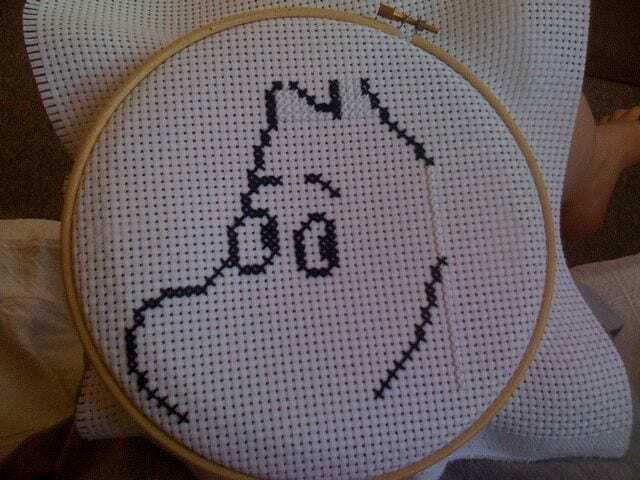 I have a cross stitch I started about 5 years ago that’s still not done. hayley, when they started talking you were petrified, so you’re hardly one to mock.